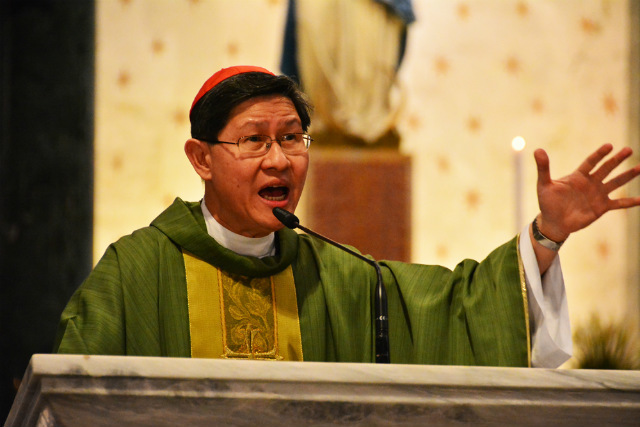 Cardinal Tagle: Rest, don't worship your work | Artikulo Ko To! - Write All You Can! MANILA, Philippines – Working needlessly on a weekend? “Part of spirituality is rest, and as we rest, we don’t only allow our body to recuperate. We allow the earth to also rest,” Tagle said on Tuesday, September 1, as the Archdiocese of Manila opened its annual Season of Creation. The cardinal also reminded his flock to “observe the Sabbath,” the day of rest ordained by God. Christians consider Sunday their day of rest. “Ayaw nang magpahinga, kailangan sambahin ang suweldo! ‘Yung iba mayroon nang regular job, may part-time, nag-o-overtime pa, kasi parang ginagawa na nating Diyos ang trabaho,” Tagle said. “Rather, it is another way of working, which forms part of our very essence. It protects human action from becoming empty activism; it also prevents that unfettered greed and sense of isolation which make us seek personal gain to the detriment of all else,” the Pope said.